On our second night here, after a day spent walking around our new neighborhood and to the University of Pretoria, Jenny’s colleague, Professor Stella Nkomo, and her husband, Professor Mokubung Nkomo, treated us to dinner at the fabulous Kream Restaurant. 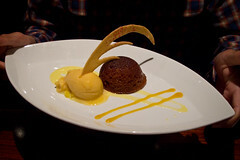 Delicious food, tasty South African pinotage and Jenny’s new favorite dessert, malva pudding with Amarula cream sauce, highlighted a great evening of conversation and education about our new home. The next day, Stella kindly ferried us around town and orientated us with the Brooklyn Mall and its stores, such as Mr. Price, Game, Dis-Chem and Checkers. We stocked up on some staple items before returning to the guesthouse. It was a tremendous help. A few days before we left Chicago, we met a woman at a party (thanks, Rabiah!) who dates a man from South Africa. She was coming for a visit soon after we arrived, so we made plans to connect during her stay. But even before Maudlyne landed, her partner, the incomparable Neil Roos, offered to show us some of his favorite spots in Pretoria. So nice. 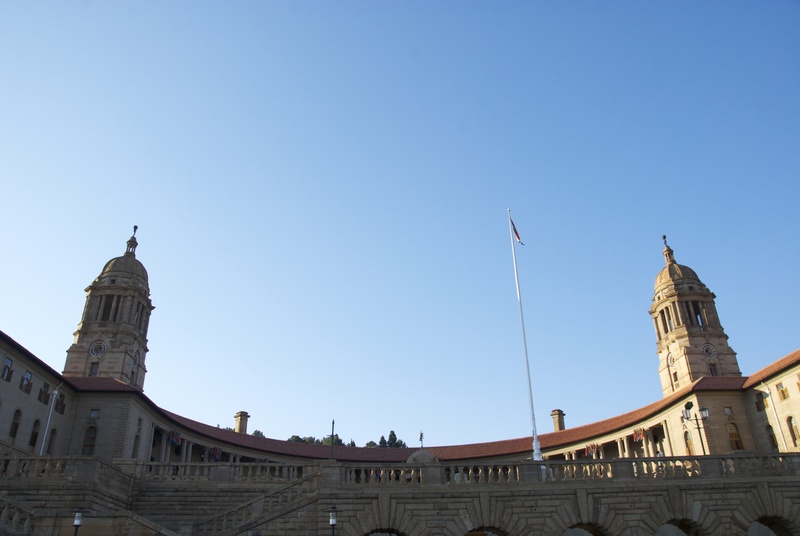 Neil drove us to the famous Union Buildings, into Central Pretoria, out to the pre-Apartheid black location of Atteridgeville, through the ritzy neighborhood of Waterkloof Ridge and up the hill towards Klapperkop Fort for amazing nighttime views of the city. So fun. With Maudlyne’s arrival the next night, we ventured out for a drive and to Namaskar Restaurant for some Indian food. Paneer Makhani and Prawn Dum Biryani. So delicious. We owe all of these kind folks a debt of gratitude for helping us feel at home here. We’ll be happy to do the same for any of you who come for a visit!